Learning where to find The Finger Whistle location will let you distract enemies and enrage beasts in Sekiro: Shadows Die Twice. 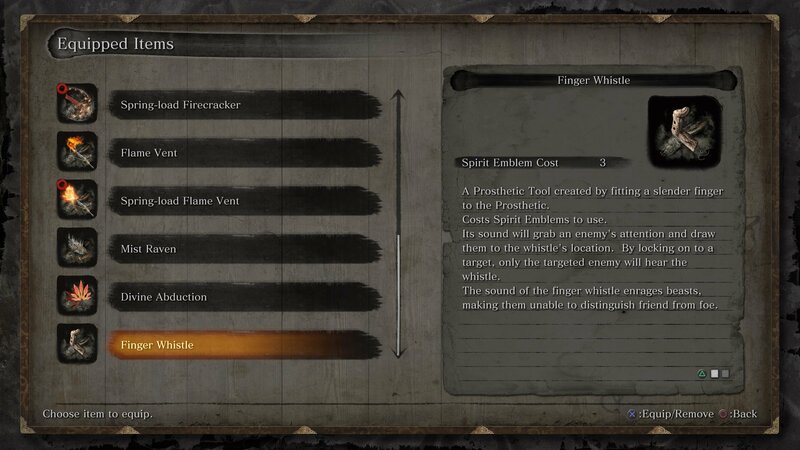 The Finger Whistle is one of Sekiro: Shadows Die Twice’s surprise shinobi prosthetic tools. Just when you think you’ve found them all, this final item can be used to lure individual enemies from a distance, or even drive beasts mad. In this guide we’ll take you through where to find the Finger Whistle location in Sekiro: Shadows Die Twice. The Finger Whistle is likely the last shinobi prosthetic tool you’ll find, following on from Divine Abduction. To install it, you’ll first need to get the Slender Whistle, which requires quite a bit of hard work. It’s located in the Sunken Valley, but you’ll need to defeat the Guardian Ape in order to receive it. If you’ve not done that yet, he’s one of the toughest bosses in the game, so read our Guardian Ape boss fight guide if you plan on taking him on. The Guardian Ape is located next to the Bodhisattva Valley Sculptor’s Idol in the Sunken Valley, and once beaten he’ll give you the Slender Finger as a reward. In fact, if you read the description you’ll learn it was lodged down his throat. Sounds like someone used it to enrage the wrong beast. If you’ve not explored the Sunken Valley much yet, you’ll need to fight through the Gun Fort’s Snake Eyes Shirafuji and Long-arm Centipede Giraffe before escaping a certain vengeful snake. Once you reach the area with monkey filled enemies, stay up near the top and make your way through the valley of statues to reach the Bodhisattva Valley Idol. After you’ve built it, the Finger Whistle is quite an intriguing tool. Used in stealth, you can target individual enemies to lure them away from their allies and take them on alone. If you find a beast in the middle of enemy soldiers, the Finger Whistle will send them into a blind rage, unable to distinguish friend from foe. It’s a handy prosthetic tool, but one you’ll need to practice with. 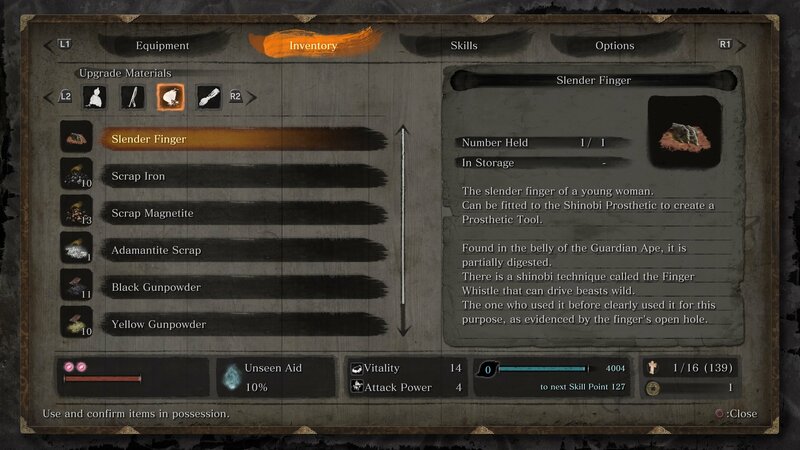 Now that you know where to find the Finger Whistle location in Sekiro: Shadows Die Twice, make sure you’ve collected all the rest with our shinobi prosthetic tool locations guide hub! Did you find the Mist Raven? Next up you might want to visit Senpou Temple where you’ll meet the Armored Warrior and Long-arm Centipede Sen’un.